Figment Fun at G.A.P. Travel: Royal Caribbean's Grandeur of the Seas is Back! 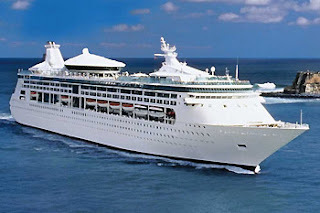 Her new amenities include kid's program upgrades from Fisher Price and Crayola, brand-new dining, entertainment in the new Centrum, poolside movies, iPads in every cabin, digital navigation screens throughout the ship, and brand-new decor in the staterooms. If this refurb is anything like other upgrades done to Grandeur's sister ships, the enhanced experiences will be something to write home about. Skeptic? Check the video below or see the flyer HERE. Call or email today to get on board and grab the best deal!